First Fair – This event brings in dozens of local businesses, as well as campus-based organizations, in a festival-like atmosphere to showcase their services. Freshmen Follies – Held in the Startup Chapel, Freshmen show off their skills and compete in a talent show in their first few weeks on campus. Blue and White Buddy Day – Each fall, WBU freshmen head to local schools to spend time with young students. Hall Wars – Every fall, the women’s residence halls compete, by hall, in various activities. Points are collected at each event, with the final competition seeing each hall completely decorated in conjunction with a theme. Friends and family can examine each hall’s decorations at Homecoming-Parents Day. 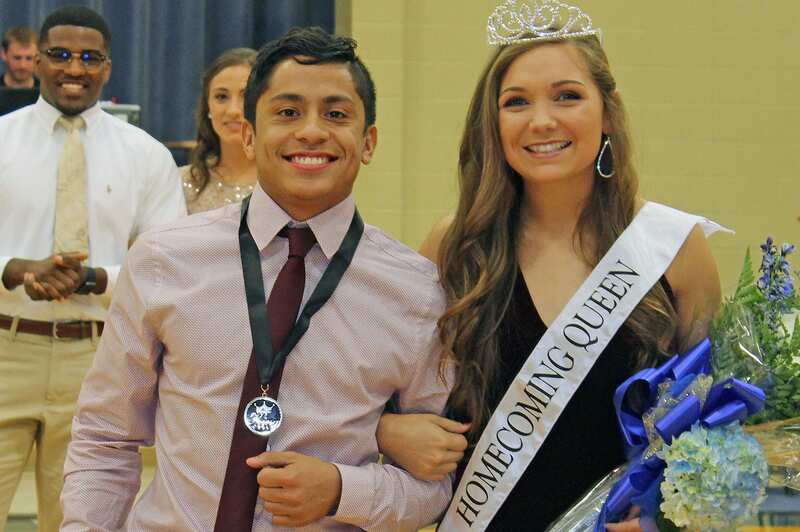 Homecoming-Parents Day – Held each November, Homecoming is a week filled with campus-wide special activities, culminating with Parents Day, athletic events and the crowning of the Homecoming Queen/King on Saturday. Christmas in the Cove – Possibly our most beloved tradition, faculty, and staff open up their homes in Faculty Cove for students to come around and enjoy treats of the season. Each home serves a themed dish and some hosts will even read a Christmas tale to eager students. Williams Weigh – Many students (and employees) are eager to shed the weight put on over the holidays. Interested persons can join a team for the semester-long weight-loss challenge. Miss WBU– Held each spring, ladies on campus compete in interview, talent and eveningwear for the title of Miss WBU. Ladies plan for the pageant throughout the year and await the opportunity to hold the coveted title. Williams Idol – Students compete for the coveted title of Williams Idol each March. Idol is one of the best-attended events of the year. Spring Fling – Campus-wide cookouts combined with recreational events begin the celebration of Spring Fling. Outside events are planned for the week to give students the opportunity to enjoy the return of warmer weather. Spring fling is traditionally held in April.